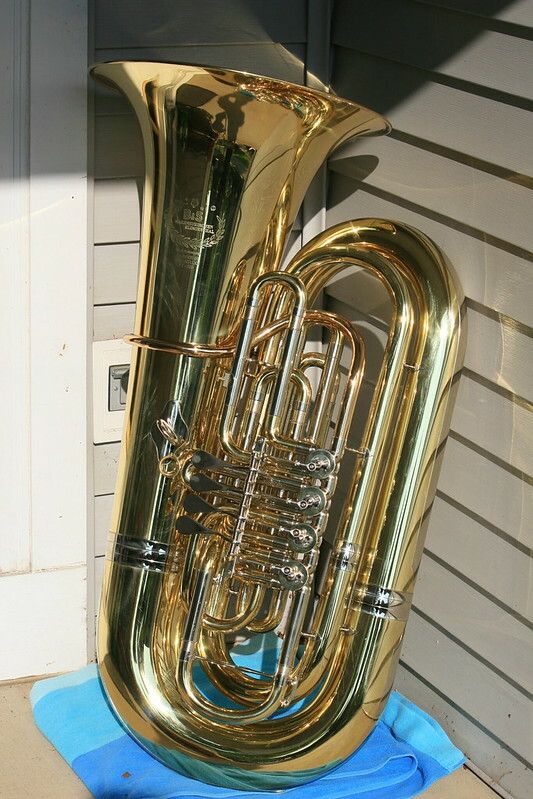 http://www.customtubas.com/proddetail.p ... 5_BBb_Tuba" target="_blank" target="_blank" target="_blank" target="_blank" target="_blank"
Horn is for sale with a blue cordura Cronkhite gig bag and an MTS case. Cases are in excellent condition. Asking price for the 3 items is $5700. For December 2018, I will hand deliver the horn within 150 miles of 60506. The horn plays very well and I want to see it go to a player who will enjoy it. If you are seeking a broad, dark sound in the low register this horn is a good choice. There are a few very small dents from normal use. Last edited by swillafew on Thu Dec 06, 2018 8:07 pm, edited 15 times in total. Bump for new photos, fresh from a Dana Hofer chem cleaning. Any chance this is still available? Yes it's still for sale. 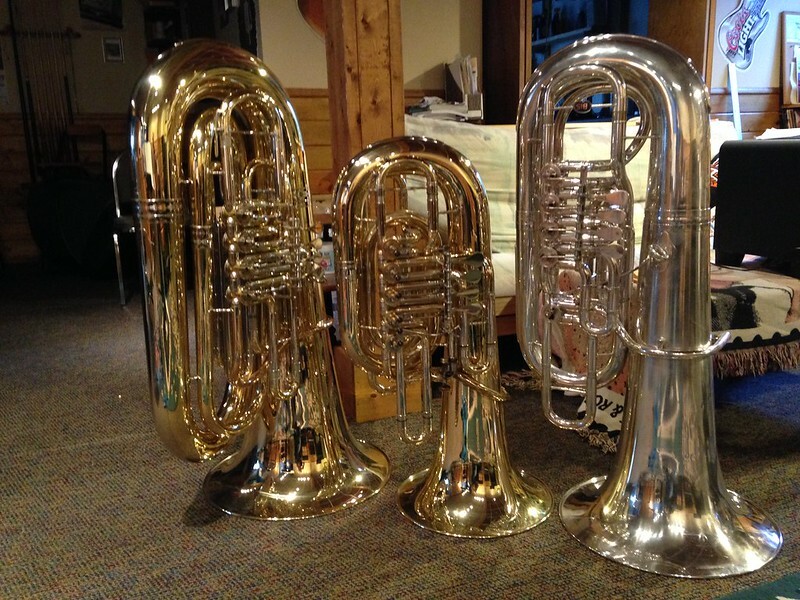 Holiday bump for complete set of horn with hard and soft cases, all in very good condition. Still for sale. I did notice a little lacquer wear for the first time today. Plays very well. Last edited by swillafew on Sat Jul 28, 2018 5:32 pm, edited 2 times in total. 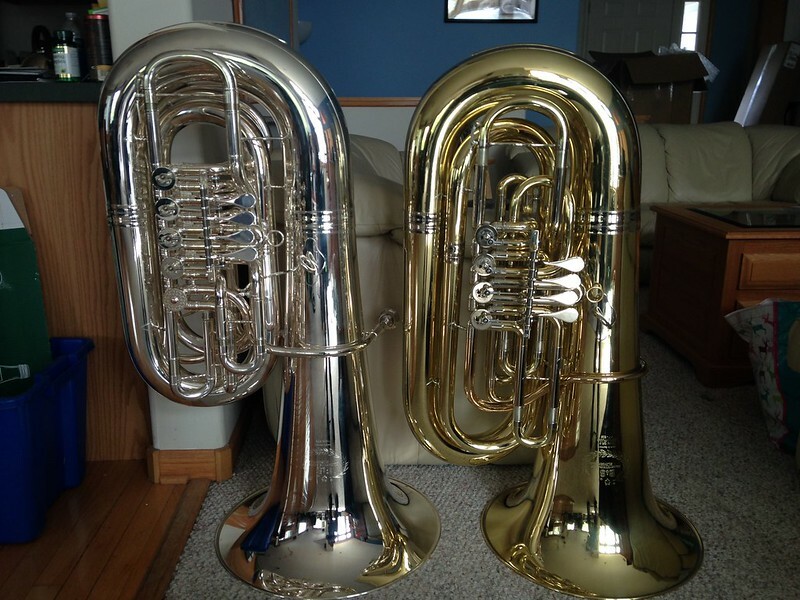 These are very nice tubas, and this is a very good deal for someone. Surprised it hasn't sold. Good luck with it, John. If I needed a BBb and/or had a few thousand extra dollars, I would drive out sometime next week to try it out. Nice horn! Hi! Didn't see that the horn was sold. Do you still have it? 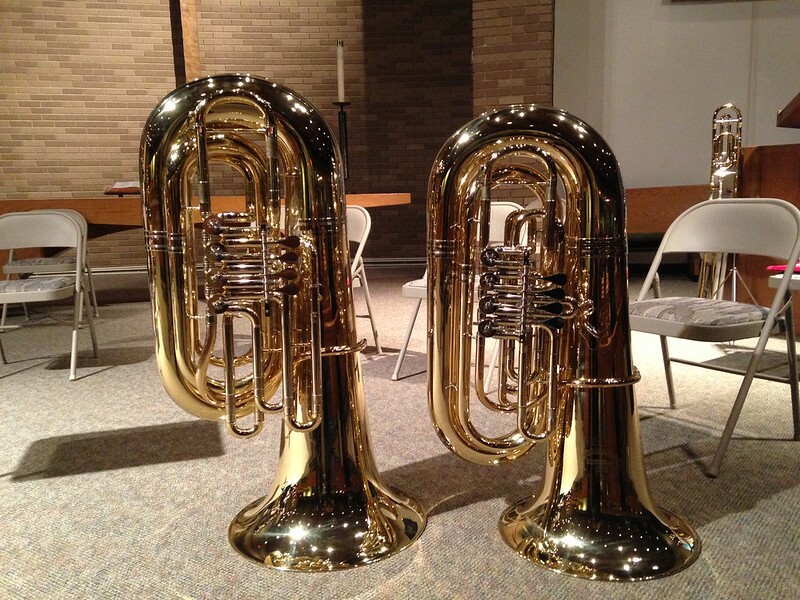 I had a silver version of ths horn and loved it and, like an idiot, sold it. Wishing I had it back but I just saw your horn so I thought I'd check. Please advise at your earliest convenience! Thanks for the bump. Yes the horn is still here. I have a hard case and a bag, and owing to the bulk of all that, I don't care to ship it. It's been priced accordingly. 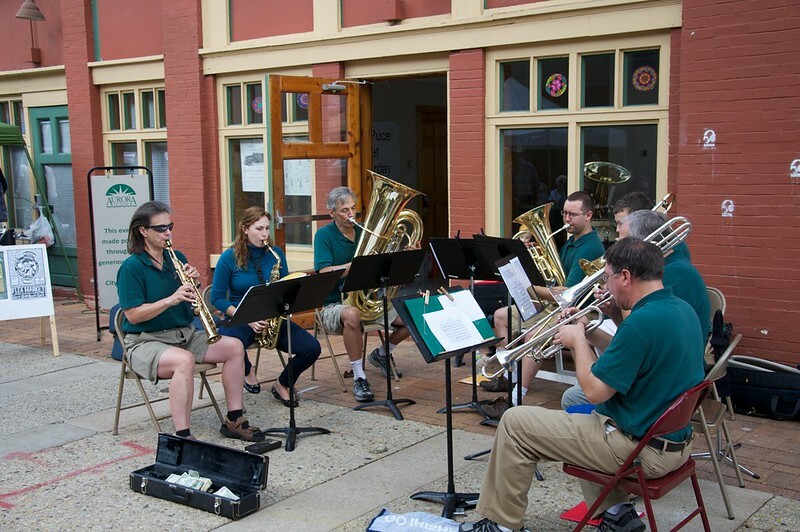 I started playing it again in a brass band, and it plays like a charm. If I sell it, I will revert to relearning the music on another instrument. Summer time bump for a horn that you can test just one mile from the expressway on your vacation across the Great Lakes region. I have had a couple of people ask me about shipping. 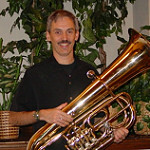 I just read another's post about a new MRP tuba getting crushed and I don't want to be the next person to write something like that. swillafew wrote: Back to school bump. Surprised this is still for sale - especially with a Cronkhite gig bag and a hard case included. Since you don't want to ship and in line with your back to school bump - you ought to send a letter about it to the District 203 & 204 HS band directors - especially with school back in session in a few weeks. The schools all seem to use Miraphone 1291's around here and many of these kids parents buy them something comparable to play at school & home etc. Your price is more than within the pocketbooks of many (most) parents in these two districts and a PT-605 stacks up well vs a 1291 and a student would be all set with a gig bag and hard case for the school bus trips. Good Luck! Ditto, this should have sold already. I thought about it several times, but could never bring myself to change to BBb. If you want the horn delivered within 500 miles of 60506, I will deliver it myself with both cases for the advertised price. I think this model came out concurrent with the Thor, and according to writers on this forum, they share the same bugle. I haven't played a Thor myself, but I can say this horn is about as free blowing below the staff as any horn I've tried. 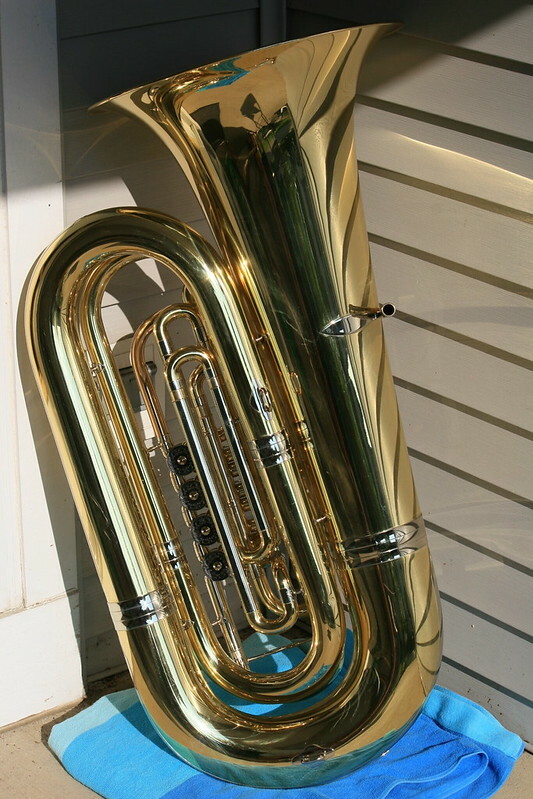 The middle and upper registers are characteristic of a 4/4 BBb tuba from Germany. Intonation is very good.